Gordon James Aitkin Clunie graduated in medicine from the University of Edinburgh in 1956. After early clinical training in Scotland he undertook surgical training in Edinburgh before being appointed Reader in Surgery at the University of Queensland and Director of the Dialysis and Renal Transplant Unit at Princess Alexandra Hospital in Brisbane in 1968. In 1973 he was appointed Professor of Surgery at the University of Queensland then, in 1978, the James Stewart Professor of Surgery at the University of Melbourne. Gordon Clunie has made important contributions in senior positions with many external bodies. His chairmanship of the Division of Surgery and the Medical Advisory Committee at the Royal Melbourne Hospital was much valued, as was his active role in curriculum review and teaching. His involvement with the Royal Australasian College of Surgeons included a period as a member of the Council, as Editor-in-Chief of the Australian and New Zealand Journal of Surgery and leading important AusAID funded programs, one involving delivery of specialist care and the development of postgraduate training programs in Pacific islands. He has also made major contributions to the Anti-Cancer Council of Victoria, the National Health and Medical Research Council, the Australian Medical Council Accreditation Committee and has served on the boards of several medical research institutes and teaching hospitals. After a long period as Deputy Dean Gordon Clunie was appointed Dean of the Faculty of Medicine, Dentistry and Health Sciences and Head of the Medical School in 1995. During this relatively short term, up to his retirement from the University in 1997, he demonstrated outstanding leadership and administrative skills, playing a seminal role in a major, unprecedented, remodelling of the Medical School’s curriculum. While drawing on a range of new but widely acknowledged components for the design of the curriculum, the Medical School also included the original concept of twin, graduate and undergraduate, streams and the introduction of a compulsory research year for undergraduates. 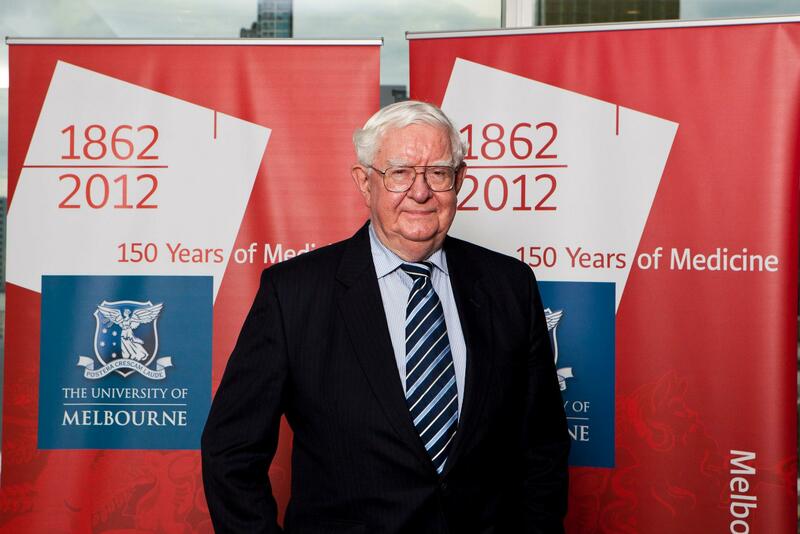 Gordon Clunie’s management style was characterised by high standards of integrity and personal energy and his farsighted approach was crucial in the development of many other Faculty initiatives including the establishment of the Australian International Health Institute.